It’s National Salsa Month, which is a great way to sneak in fruits and veggies to snacks and wraps or on top of your dinner. First up, try this delicious Homemade Salsa Verde. Eat this Mediterranean Salsa with pita bread for a hearty snack. Use your favorite summer fruit in this savory Watermelon Salsa. 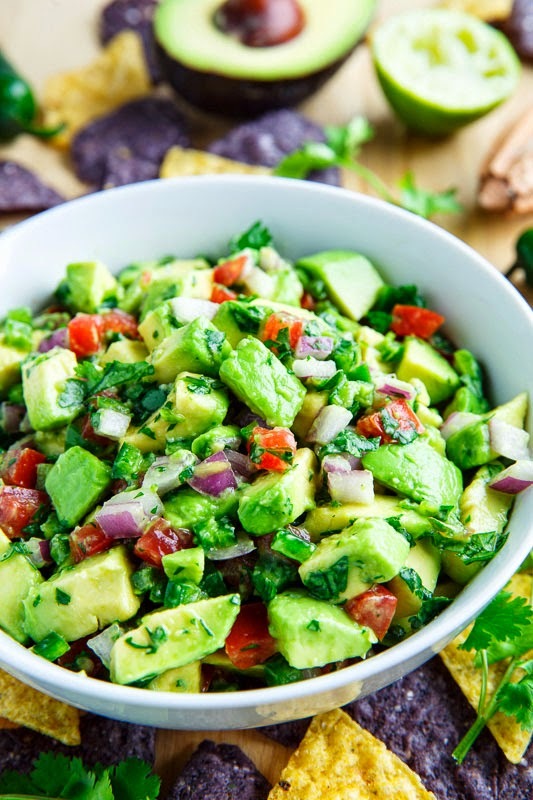 Make Avocado Salsa instead of guac to go with your weeknight tacos. This Fresh Strawberry Salsa mixes sweet and savory in-season produce. This filling Black Bean Salsa with rice and chicken makes a perfect burrito bowl. This tropical Pineapple Salsa is a tasty topping for your grilled fish. It’s National Frozen Food Month, and frozen fruits and veggies are wonderful ingredients to keep on hand. 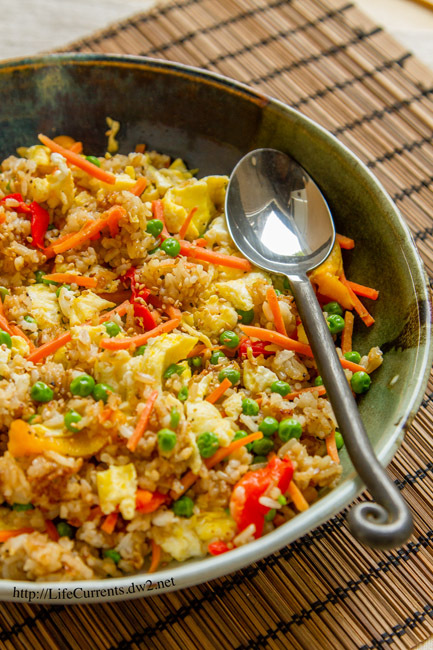 First up is an easy Fried Rice filled with veggies straight from the freezer. Whip up this light Peach-Mango Sorbet for an easy and refreshing treat. This copycat Corn Salsa is perfect on your burritos or tacos at home. 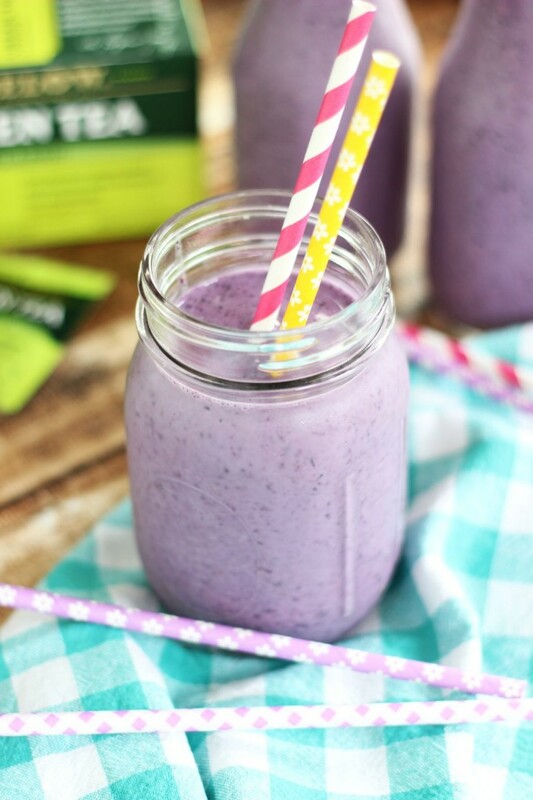 Whip up an antioxidant-filled Blueberry Green Tea Protein Smoothie. 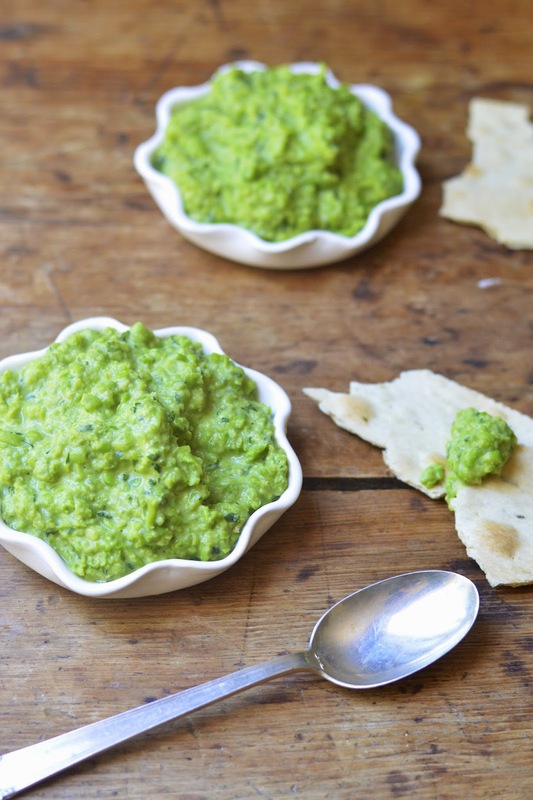 Green Pea Hummus is a vibrant way to get your veggies in. 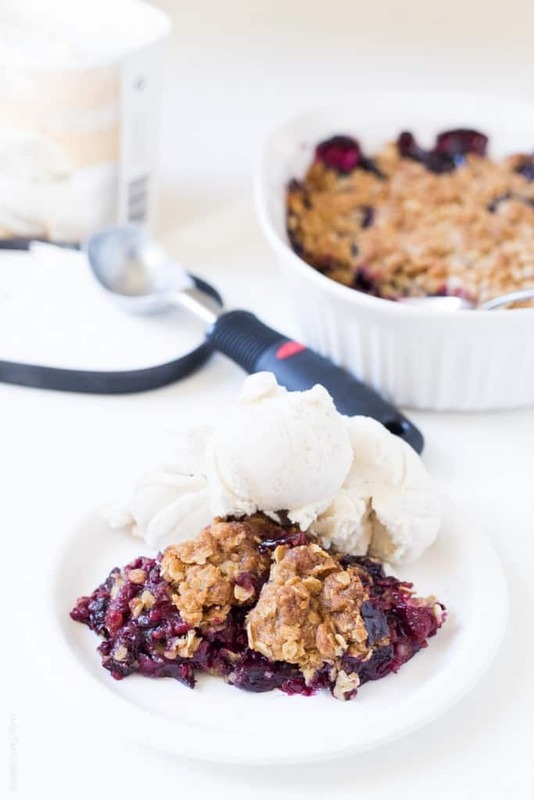 You’d never know this Triple Berry Crumble is so easy because of frozen berries. Corn and Edamame Succotash is a simple, hearty side for any meal. This week, we featured some healthy jalapeño recipes that will let you add a little spice to your summer with the in-season pepper. First up is a vegetarian BBQ must, the Jalapeño Popper Black Bean Burger. Whip up this easy family-favorite side, Twice Baked Jalapeño Sweet Potatoes. Make this Slow Cooker Jalapeño Popper Chicken Chili to work up a sweat. This Strawberry Jalapeño Salsa will add a sweet, spicy kick to your next party. Slow Cooker Jalapeño Popper Chicken Taquitos combine your favorite appetizers. This Healthy Crock Pot Jalapeño Chicken and Sweet Corn Soup is fresh and easy. Make these Jalapeño Popper Quinoa Bites for a healthy snack or appetizer. 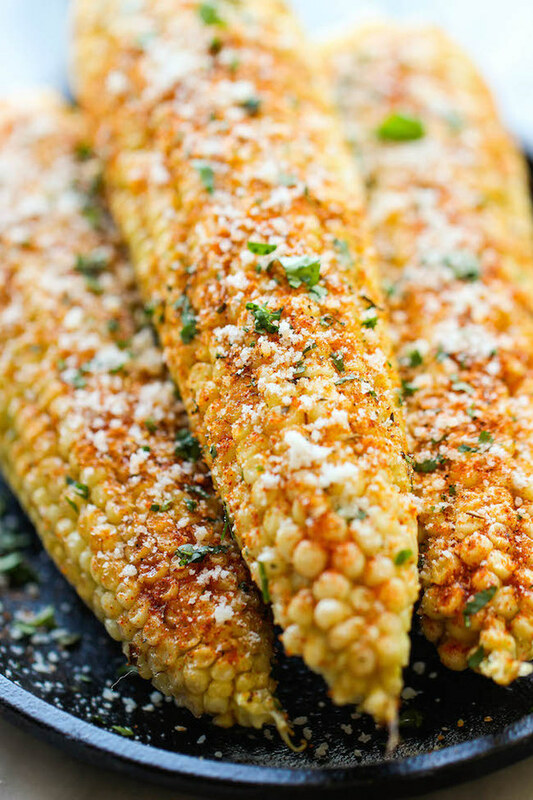 July is the perfect time of year to eat sweet fresh corn with dinner, so we had great recipes to use it every day this week. First up was a list from Buzzfeed of 15 different dips or toppings for your ear. These Chicken, Zucchini, and Fresh Corn Burgers are a healthy way to work corn into your meal. This Mexican Street Corn Salad with Avocado is the perfect addition to your taco night. Summer Corn Soup is a great light lunch or dinner to use up your fresh ears. This Summer Corn, Avocado, and Black Bean Salad also makes a great chunky salsa to share before dinner. This Southwest Quinoa and Grilled Corn Salad will be delicious hot or cold for barbeques or picnics. I’ve recently started a new diet (which you’ve seen some pictures of if you follow me on Instagram). I am doing a cleanse of sorts with it, and I will eventually be taking some supplements, but the point is really about developing a better relationship with food. That is what the eating mindfully challenge from Rally, our wellness tool, is really all about. It asks you to stop and think before you eat that morning donut from the break room. Within those meals, I’m trying to get a protein, a fruit or veggie, and a complex carb (whole wheat pastas and breads, potatoes, beans, etc.) in with each meal. For snacks, I’m usually mixing a fruit or veggie with some protein. For breakfast, I had a smoothie made with frozen berries and banana, oats, and pineapple coconut water. And I ate a scrambled egg for protein. For lunch, I had a half turkey sandwich on whole grain bread and a half spinach salad with lots of veggies. For my second snack, I had homemade cinnamon apple chips (Cooking Light has some good recipes for this), and turkey lunch meat with a few red pepper strips. For dinner, I will be using some herb pork tenderloin I made earlier in the week with some whole wheat pasta, roasted tomatoes and zucchini, and half an avocado (before it goes bad). And this is very much how I cook. I rarely use recipes, and I tend to throw in whatever is ripest in my kitchen. I also cook for one a lot, so I know I’m not going to want to eat the same things 8 days in a row. So I will do one thing that I can use many ways. This week, I cut apart a pork tenderloin into 6 pieces, and I made them 3 different ways. The first way was what I’m using tonight. For that herb version, I just coated the pork in olive oil and then sprinkled it with salt, pepper, and rosemary. Then I made a pineapple version. I just mixed about a teaspoon of soy sauce, about a tablespoon of honey, and a tablespoon of fresh pineapple juice, then I coated the meat in it. I topped each piece with a fresh pineapple ring before going into the oven. And last, I made a quick peach reduction version. For that one, I put about a half cup of frozen peaches (fresh would be even better!) into a small saucepan and thawed them on the stove. Then I added 1-2 tablespoons of honey and brought the whole thing to a nice boil. Then I turned it down and let it simmer for at least 5 minutes to thicken. Then I just poured it over my meat. I served the Pineapple Pork Loin with a roasted sweet potato (which was just a sweet potato cut up, tossed in a little olive oil and seasoning, and popped in the oven at the same time as the pork) and fresh green beans. I also made a quick fresh salsa with another slice of fresh pineapple cut up and some red bell pepper that I served on top of the pork. This was delicious and the pineapple and honey got all sticky and crunchy on the outside. I had the Peach Reduction Pork the next day, and I served it with more green beans and a Corn, Avocado, and Tomato salad, which is a super quick and tasty side. I used frozen corn which I steamed in the microwave, and then mixed it with half an avocado and a few sliced cherry tomatoes. I’ve also done the math on those recipes for calorie tracking in my fitness binder, and the entire Pineapple Pork Loin meal was just 354 calories, and the entire Peach Pork meal was just 458 calories (based on a 4 oz. portions of pork). So, How Can You Eat Mindfully? Start with fruit and veggies! Skip the garlic bread side and have a salad. Eat proper portions, because you can’t actually eat an entire bag of Cheetos and get away with it everyday once you lose the metabolism of a teenager. Loving my food pics on Instagram? Comment on them there when you want to see the recipes here on the blog! If you’ve followed my journey, you’ve heard about our wellness tool, Rally. Rally helps you evaluate your health with an easy test and then has you pick challenges in order to earn coins, which you can use to enter drawings for rewards. Rally is a great way to hold yourself accountable to your goals each day, and I’m going to help connect you to ways to make your Rally goals happen. I’ve done a few of the challenges before, and while I’m not going to do all of them permanently, I am going to spend all spring testing them out and connecting you to resources to meet your goals. The first two challenges that I’m going to test out and help you with are cooking at home more and tracking what you eat. I had tracked what I ate before with a handy app called MyPlate. I still recommend it, but I’ve taken a different route this time. While humiliating myself is always a fun side effect of blogging about my life, I bring this story up for a reason. I like writing things down, and I’ve always liked writing things down. There is nothing so satisfying as putting a physical check mark beside a task. I work on the Web team, and I still keep a physical planner and to-do list. So I’ve decided that maybe I stopped keeping up with the app (conveniently right around the holidays) because there was no satisfaction or memory in it for me. If I write something down, I feel it and remember it. If I just select an item out of a digital list, I will not remember how many calories those Skittles are costing me every day. So I’ve made myself a My Healthy Journey fitness binder. I’m using it as a one-stop, life-hub of organized information. It’s amazing. I started with supplies. I bought a beautiful binder that I can live with carrying around every day. Plenty of paper (for printouts). Grid paper, which is perfect for making lists. All of the little boxes make perfect check boxes right alongside your tasks. Binder dividers, a three-hole punch, and a large variety of highlighters, pens, and markers. Plus my laptop, grocery list, and coffee because no morning project unfolds well in my house without coffee. The first thing I did was waste a lot of time on Pinterest looking at fun, inspirational typography. As a writer and designer, I’m a font geek, and I decided that I would start each month of my binder with some hand-drawn, cute, inspirational quotes. My dog and I worked on this in bed while watching documentaries. (She hated it because it meant I wasn’t petting her…) While it might sound like a waste, it has truly made me love my binder. My beautiful binder and I have formed a loving bond through hours of coloring. I definitely recommend it. Then I printed some things that are actually useful. First up is a weekly printable meal planner. If you search for that online, you can find tons of free downloadables, both with and without grocery lists. Or you can try the one I chose or this colorful other option. I opted for a simple planner and to continue to use my awesome Wonder Woman grocery list. Choose whatever works for you. Then I printed off some calendars. I have a planner for work, but I don’t like to put personal stuff in it because not only do I sometimes show it to people when scheduling social media plans, but I also don’t look at it outside of work. So this calendar will have things like my dentist appointments, the dates my prescriptions run out, and the dates all my different bills are due. I naturally color-coded all of this with highlighters, like an organization geek. I’ve only been doing it for a week, but so far, I’ve noticed that I remember how many calories are in my food far better when I’m forced to calculate and write it down myself every single day. You really think about your choices when you know you have to add that candy onto your day’s calorie total. The menu planner also forces me to sit down at the beginning of the week and plan out meals. While I haven’t stuck to it perfectly, it really does make grocery shopping and cooking much easier to plan for. And just in case you need some ideas when you sit down to plan, here are 50 Healthy Dinner recipes you can try, or follow us on Pinterest for new healthy recipes all the time. And follow me on Instagram, where I share inspiration and my healthy journey, mostly through food. Join me there in making cooking and health more fun, one image at a time! Challenging yourself mentally raises your brainpower and function, which is shown to reduce the risk of mental decline and dementia in old age. What can you do to keep your brain in amazing shape? Learning new things in school or classes, at work, and in your spare time all help you challenge your mind, no matter what your age. As we get older, we get comfortable doing the things we’ve always done. But your brain will benefit from tackling something new. Learning keeps life stimulating, especially during retirement. Community colleges and park districts offer a variety of courses that allow you to interact with others while challenging your mind. You can try a new sport, learn a new language, take up painting, or learn a skill you’ve always been interested in picking up. Activities that use your hands, like woodworking, sign language, or knitting, are also great because focusing on your hand-eye coordination works multiple parts of your brain. Not only will it help you stay sharp, you’ll also feel accomplished. Never stop challenging yourself to learn new things! Learn a new word a day, take up local theater where you learn a small part, learn your favorite poem by heart, or learn all the words to your latest favorite song. Writing things down as you go can also help. This careful listening and learning can help you sharpen your thinking. Volunteering with a local organization offers you the chance to interact with others, which also stimulates your brain. You can meet new people who are both working and being helped in the community. Help your church, local library, animal shelter, or even a branch of a larger organization like the Alzheimer’s Association to meet people, work events, and even get active with 5ks. Foods like blueberries and dark chocolate are full of antioxidants, which help fight age-related diseases. They can also help delay or prevent cancer, neurodegenerative diseases, like Alzheimer’s, and lower cholesterol and blood pressure. Dancing with a partner or in a group may be one of the best physical activities you can do that is also good for your mind. When you dance the salsa, a waltz, or even the electric slide, your brain whirls to keep up with the steps, all while you interact with others around you. Dancing is also shown to help slow the progress of dementia. Break out of your routine and see something new, like an art show. Taking pictures for social media, writing about it, and making scrapbooks to show your family and friends are all great ways to train your brain to remember the details about your new experience too. There are many brain games on the market you can try to stay sharp. Lumosity is one online tool you can try, for a fee. You can also try more traditional methods, like chess, sudoku, or puzzles. While they’re not proven to fight dementia, they can help you maintain critical thinking skills.